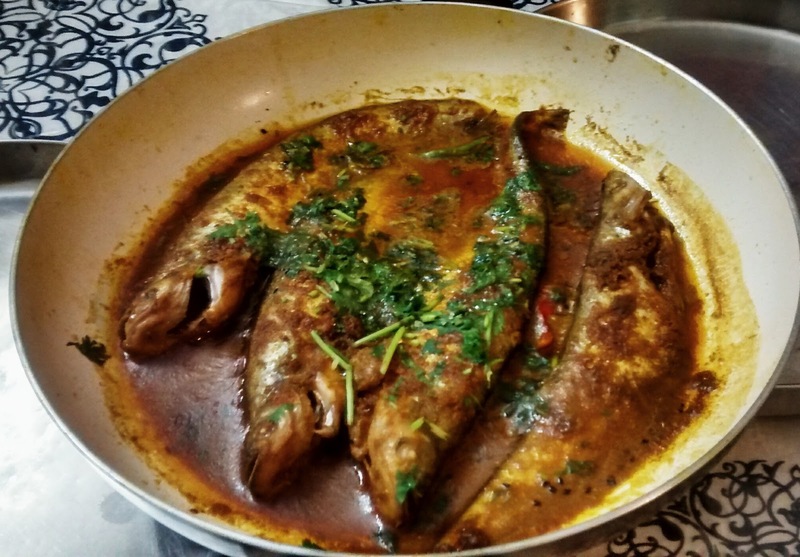 The pabda fish is very popular among the fish eating population ,for its delicate texture .Since it is boneless to a large extent it also adds to the convenience of eating.There can be many ways of preparing this widely popular catfish. 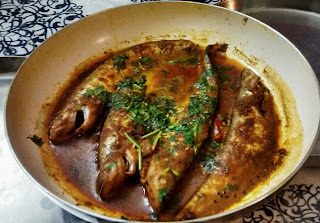 One method being preparing the fish in mustard paste .But today I'm sharing with you a preparation which is entirely comprised of spices other than mustard. 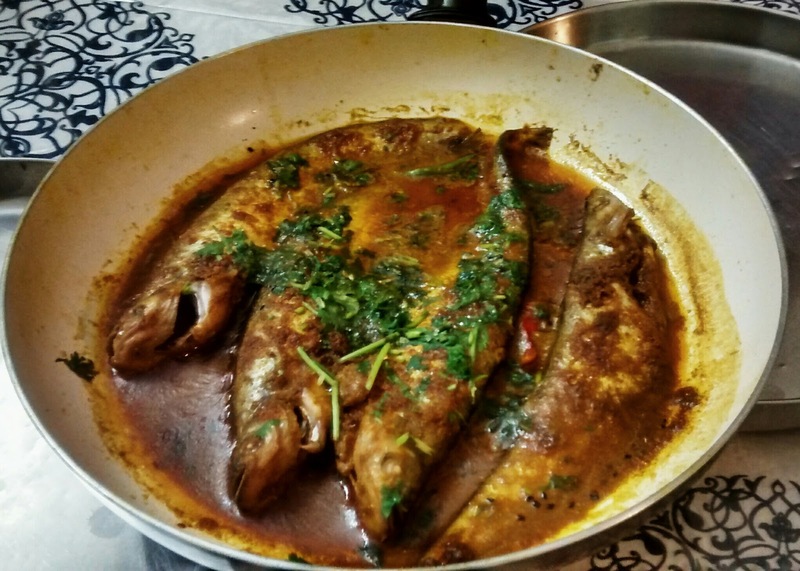 Leave the marinated fish for 10-15 mins. now in a heated pan pour the rest of the mustard oil,let the nigella seeds splutter . turn the fishes to the other side and cook for another 2-3 mins . this is how it looks like after the spices are partially fried. pour the water in the pan reduce the flame ,and let it cook for another 2-3 mins . 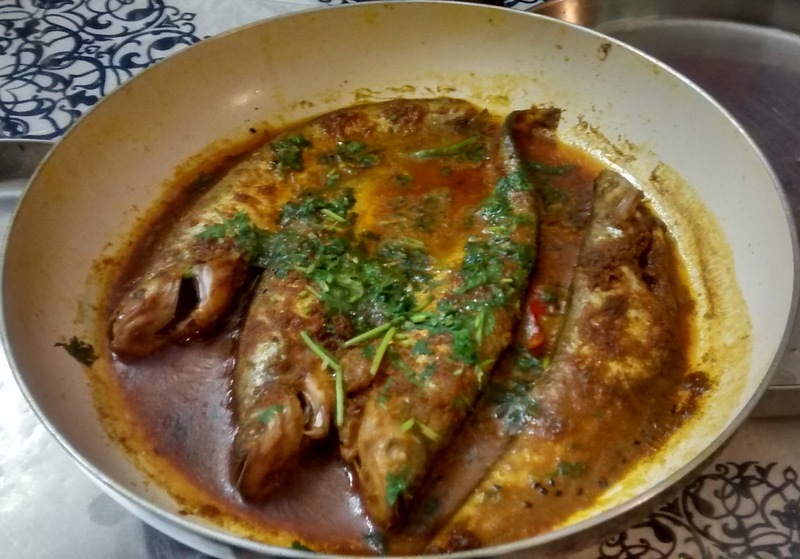 The pabda fish is a very tender fish ,so once cooked care has to be taken to handle it.